Twelve former Catalan leaders go on trial on Tuesday at Spain's Supreme Court for their role in a failed 2017 bid to break away from Spain. Here are some key facts about the trial. 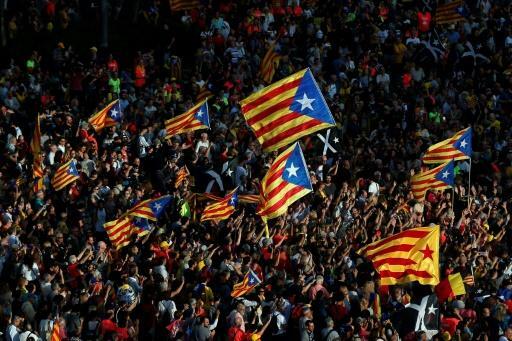 The 12 include former Catalan government officials, civil leaders of pro-independence groups and the former president of Catalonia's regional parliament. Nine have been held in pre-trial detention for months, including former Catalan vice president and regional economy minister Oriol Junqueras. Public prosecutors have asked for a jail term of 25 years for Junqueras. He remains in charge of Catalonia's pro-independence party ERC despite being in jail since November 2017. The former speaker of the Catalan regional parliament who read out the declaration of independence in the assembly, 63-year-old Carme Forcadell, faces a possible jail term of 17 years. The region's erstwhile president Carles Puigdemont -- who fled to Belgium shortly after the declaration of independence -- is not among the group because Spain does not allow trials in absentia for major offences. But former ministers in his regional government are in the dock. 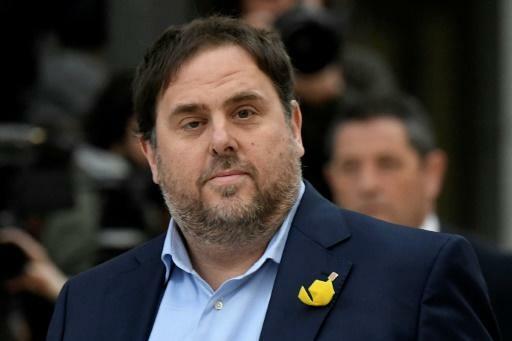 Public prosecutors accuse nine of the 12 defendants -- including Junqueras and Forcadell -- of rebellion, which carries a jail term of 15-25 years. Under Spain's criminal code, rebellion is defined as "rising up violently and publicly", especially to "declare the independence of a part of the national territory". But public prosecutors point to "violent incidents" during pro-independence protests orchestrated by two grassroots groups in Barcelona on September 20, 2017. Prosecutors also accuse the separatists of fostering "acts of violence and aggression against police officers" on the day of the referendum. The October 1, 2017 independence referendum was marred by a violent police crackdown on polling stations. Spain's legal system allows for three different bodies to file criminal complaints against defendants: public prosecutors, state attorneys and a third party, in this case far-right party Vox. The state attorneys, lawyers who represent the government, have taken a more lenient line than the public prosecutors. They are pushing the less serious charge of sedition and are seeking jail terms of up to 12 years.